Granted, bakelite is the first entirely synthetic plastic, but the Victorians actually had a wide array of natural plastics to work with. Many of them were very common in daily use! I'm going to list a few of them, say where they're from, and some examples of what they were used for. Yes, shellac is a kind of plastic! It's made from the lac beetle, and was used to make many things, most notably old gramophone records. 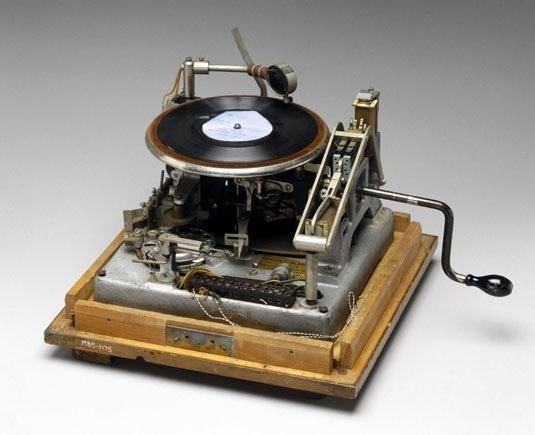 You may have known that the phonograph was invented during the Victorian era, but I bet you never spent a moment thinking about what they made the records out of! Celluloid is made from nitrocellulose (aka gunpowder) and camphor, and was used extensively for film. However, what is lesser-known is that celluloid was originally used as a substitute for ivory! Probably not because they wanted to save the elephants, but because real ivory was pretty expensive! The original celluloid formula, Cellulose Nitrate, had a bad habit of catching fire, so a few decades later it was replaced by Cellulose Acetate. Vulcanite is often known as vulcanized rubber, or simply hardened rubber, and is made by adding sulfur to rubber as a hardener. If you add enough sulfur you get a material that's indistinguishable from plastic. 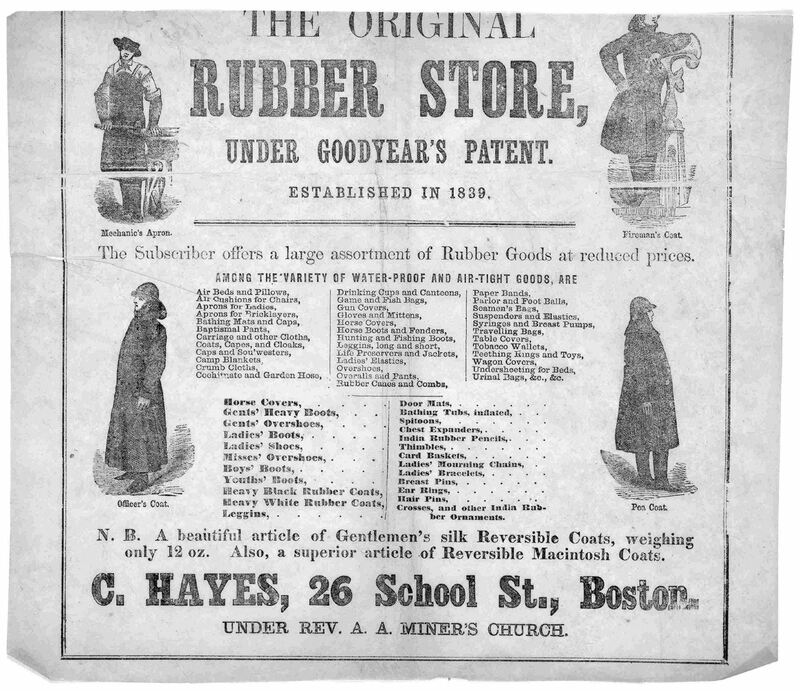 This process was invented by Charles Goodyear, whose name may ring a bell for our modern readers. Yes, vulcanized rubber is used on things like tires, sneakers, etc., but it was also used as jewelry in its harder forms! 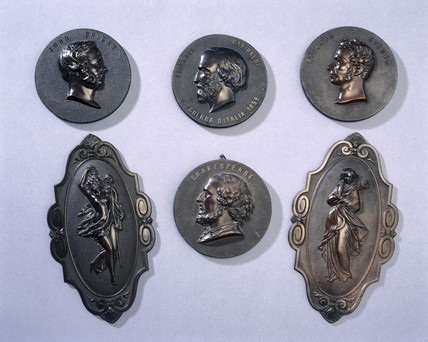 Brooches, necklaces, even earrings could be made of vulcanized rubber. More importantly, though, vulcanized rubber change the face of the industrialized world by allowing us to easily create airtight chambers. Never underestimate the importance of rubber! Gutta-Percha is both the sap from the Gutta-Percha tree, and the tree itself. The gutta-percha tree is from Southeast Asian, specifically in the Malay peninsula. This sap could be treated to form an analogue to modern day latex. 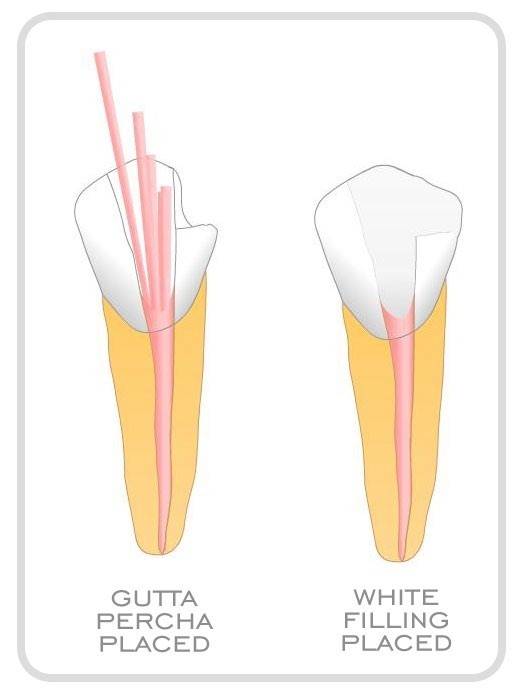 Gutta-percha was widely used in the late Victorian era, and was actually in so much demand that they destroyed all the gutta-percha trees for sap, causing the gutta-percha market to crash. It had many uses, but some of the most prominent were telegraph wire insulation, dental fillings, furniture, mourning jewelry, and pistol grips. Galalith is a plastic made from cheese. Yeah, you heard me. Cheese. Or, well, milk fibers, more specifically. 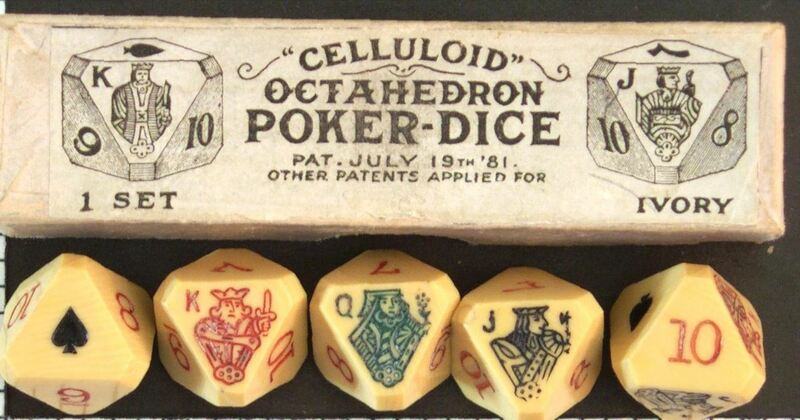 Galalith was a very hard, horn-like plastic that could be used as a substitute for real animal horns, bones, and ivory in things like jewelry, but what galalith is most well known for is its use in buttons. 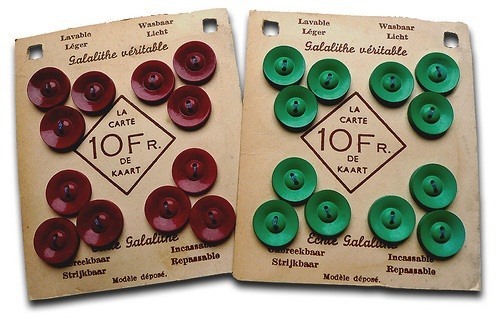 In fact, in the early 20th century, galalith led a revolution in the fashion industry by making good-looking buttons cheap and easy to manufacture. Get a load of this: bois durci, a plastic created in Paris in 1855, is made of wood and blood. The wood was ground down to a find powder, and mixed with blood albumen. It is then heated and pressed, and voilà! Plastic! Bois Durci is no longer made, but during the Victorian era, it was used in all manner of things, including plaques, frames, inkwells, brooches, clocks, dishes, and more. How would you like it if your plastic was made out of wood and blood? Sometimes progress is a good thing! So the next time someone gives you a hard time about having plastic objects in your Steampunk ensemble, point them to this article! Images from Science Museum, Dice Collector, Library of Congress, Dental Wisdom, Julien's Art, and Science and Society Picture Library. Some information from Mernick.org. Minor error: Nitrocellulose (made by nitrating plant material) was typically called "gun cotton", "guncotton", and "smokeless powder", but not "gunpowder" (which was reserved for a "black powder" formulation of potassium nitrate, charcoal, and sulfur). Oops! My mistake, and you're absolutely right. It was called smokeless powder and was used in guns as a gunpowder substitute, hence the confusion. "Gunpowder" is often used colloquially to mean "any powder used as an accelerant in a gun", but you were absolutely right to point out that the real definitions are very specific. thanks for updating the knowledge about 'old days plastic'. thanks! I'm doing some research for a book i'm writing, and this was a very helpful article. Doing a little Steampunk research and this is a great article to read ! Very informative and well written. The only question I have is did you mean " fine " powder in the Bois Durci section, I know its trivial and I understand it as most people will but I do not know everything and there could be a type of powder known as " find " .